Jack In The Box is making it’s way into cannabis culture, but it’s foray will come and go so fast you might miss it. But it still signifies an important turn in the evolution of marijuana in America. The San Diego-based fast-food chain teamed with online weed magazine Merry Jane to create the Merry Munchie Meal for its late-night menu. It’s the first time a major American business has teamed up with the cannabis industry, according to CNBC. The Merry Munchie Meal will be offered in three Long Beach, Calif., locations for just one week. Not surprisingly, that’s the hometown of marijuana supporter and rapper, Snoop Dogg. It’s also not surprising that it costs $4.20. The promotion is happening Jan. 18-25. Customers who buy the meal get curly fries and onion rings, two tacos, five mini churros, three crispy chicken strips and a small drink. But is this the start of a trend? Not particularly, according to experts. This seems kind of like the moment in 2017 when a host of celebrity endorsements for legalized marijuana came pouring in, including from the likes of Joe Montana and Olivia Newton-John. Marijuana is no longer part of the “long, strange trip” the Grateful Dead once sang about. It’s now as American as a hamburger and milkshake. Well, in some parts of the country, anyway. But by their very nature, large corporations are typically conservative about putting money into potentially controversial products. They also have a lot more to lose – read: money – than celebrities. Still, changing consumer attitudes could alter that position, eventually. While a Ganja Big Mac is not likely around the corner, the Jack In The Box move is part of a wave of acceptance for marijuana across “mainstream” culture. The most important indicator is a Gallup Poll in 2017 that found 64 percent of Americans think marijuana should be legal. 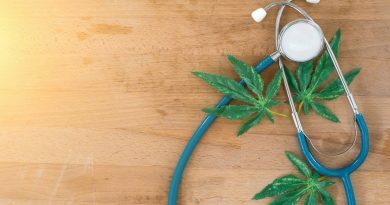 Many marijuana-related products have also made their way into the market, from CBD-infused water to high-tech vaporizers. Food trend expert Darren Tristano told CNBC he suspects many food chains are at least developing potential plans for future marijuana-related products. Part of the reason is that it will attract Millennials, who overwhelming favor marijuana legalization. That’s a demographic every business wants to capture. However, because mainstream business aims to appeal to many while offending few, it will be awhile before such products hit the market. Except at Jack In The Box, for one week this month, in Long Beach. Not much, but it’s a start.